As a teacher who lives in the Bay Area, I have accepted that I'll never be rich. Cost of living here is insane. I recently talked to one of my neighbors and he told me they pay $2,700 for their two bedroom townhouse. Do you know how many Tony Gwynn rookie cards I could buy for that kind of money? Ever since I was a teenager, I have wanted a Volkswagen Karmann Ghia. 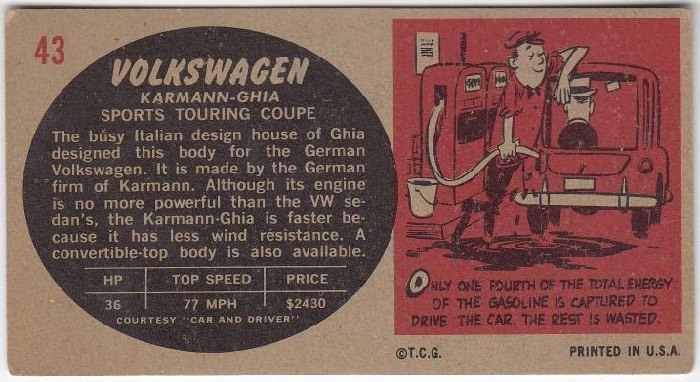 I've owned three VW Bugs and a pair of VW Squarebacks in my lifetime, but when the time comes... the sixth VW I own will be a Ghia. Speaking of crisis, I've sent you another package today. You've been warned. Awesome. My first roommate in college owned a Ghia. It was forever overheating in the Kansas heat. Nice car! Haven't seen a Karmann Ghia in years. Thanks for bringing me back to my youth. I should buy my wife one of those cards- that was her first car! I've been renting in the NYC area for 10 years...the amount of money I've pissed away with no equity is sickening. Man, I love Karmann-Ghias! And I'm more impressed by your two Squarebacks than your three Beetles. If you ever want to share photos of your past VW "collectibles", I would love to see them! 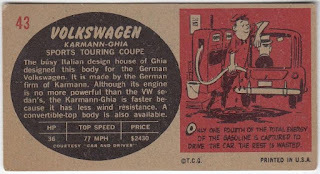 If you don't mind other collectible sidetrips, you might want to keep an eye out for vintage VW sales brochures. I've got a few 1970's brochures around my house *somewhere* and they're a lot of fun (when I can actually lay my hands on them). BTW, thanks for the shoutout! When I was a kid I worked moving sprinklers on a farm. The house next to the field had an old Ghia sitting by it. I always daydreamed about taking that car home and fixing it up, but the one time I talked to the guy about it he said it wasn't for sale. It's probably still there. I'll have to look next time I go visit my dad. You will still see an occasional Ghia used as a daily driver here, which is kind of surprising considering I live in upstate New York aka salted road country. Good luck getting one! Owning a classic car is my lifelong dream. The best VW ever, close second Kubelwagon. Told my wife a few years back we can't retire here (Silicon Valley) and at first she was like "What?" but now she understands. go for a thing while you wait for the ghia. You can't have nice vintage cars in my town. You have 30k college kids who have little regard to the rules of the road. zippy - oh man... should i be nervous? the lost collector - i know how you feel. i was renting here for five years before buying my place and threw a lot of money out the window. shlabotnikreport - totally agree. square backs > beetles i'll have to do some digging, but i probably have some photos of my cars laying around somewhere. 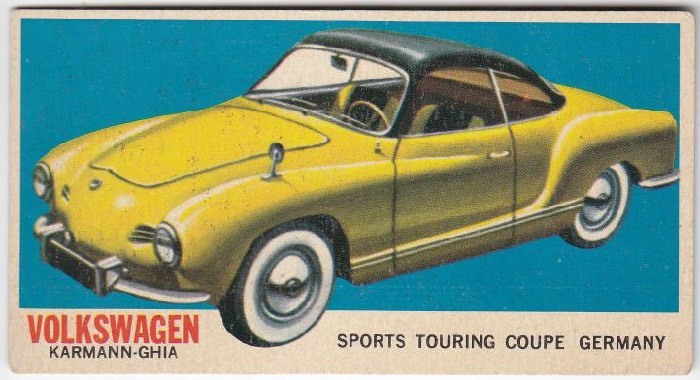 if i ever get my ghia, i have a feeling i'll be buying a bunch of memorabilia like brochures and stuff. billy - one of my square backs was from the east coast and it had major rust issues because of that salt. gcrl - those are cool too. although... i rarely see vw things in my neck of the woods. i'll have to do a craigslist search. matthew - oh man... i can only imagine. tony l. - lol... nah. not really. i did a while back when my anxiety was running wild, but i've mellowed out this year.